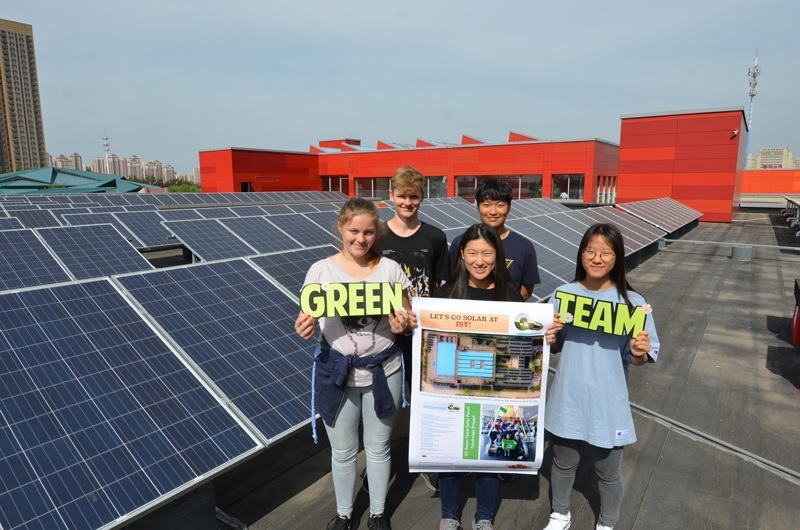 The IST (International School of Tianjin) Green Team and the IST Community are happy to announce and gratefully acknowledge the donation from their first corporate donor for the IST Green Team Solar Panel Project. 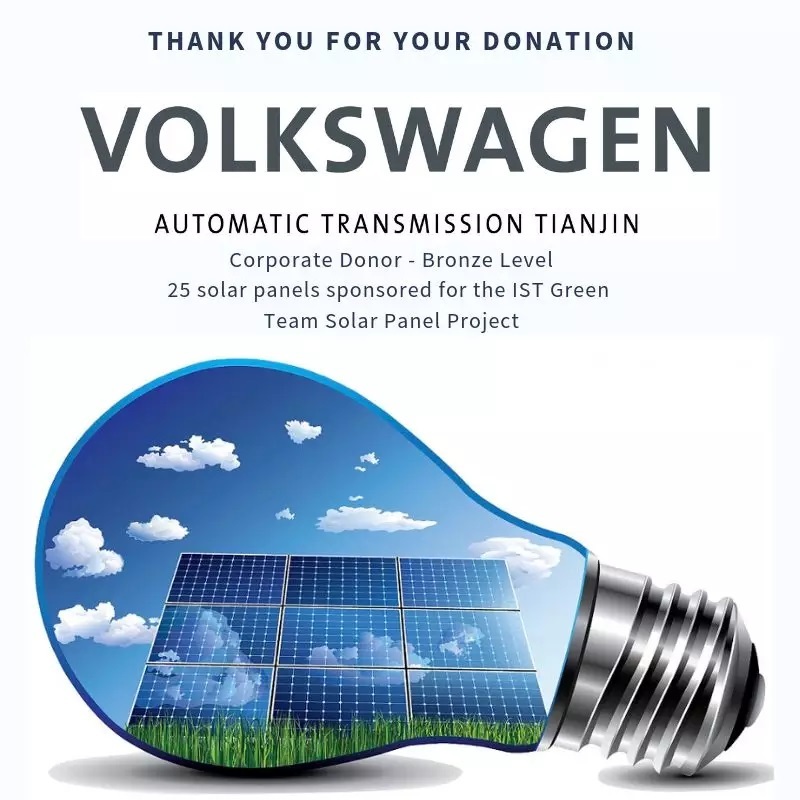 Volkswagen Automatic Transmission (Tianjin) Co. Ltd. have sponsored 25 panels in an inspiring show of support to this student initiated project and thereby their commitment to the earth's environment. 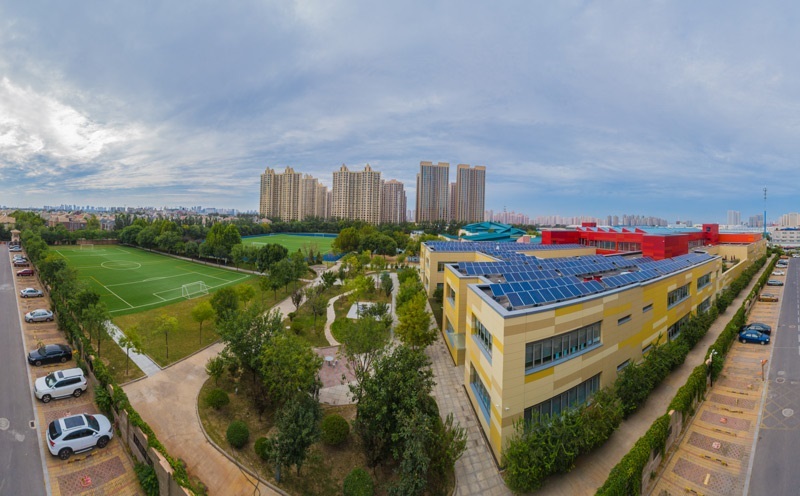 By this act of generosity, VWATJ have also become a good role-model for the younger generation and also shown the way to other companies to follow suit. There are still 185.5 panels that are awaiting similar generosity. Please spread the word. Thank you!